In 21st century America, there is a heavy reliance on high-tech surveillance of public spaces, carpeting major metropolitan cities like New York City, Chicago, and Houston. Sprawling surveillance camera networks also extend to private entities, such as small businesses striving to maintain heightened security across their premises. Such level of surveillance garners not only massive volumes of video evidence but also demands long-term storage of all digital evidence as a whole, depending on varying data-retention policies. Further, all digital evidence also needs to be analyzed and monitored using smart tools and features that alert analysts of suspicious activity captured on video in real time. 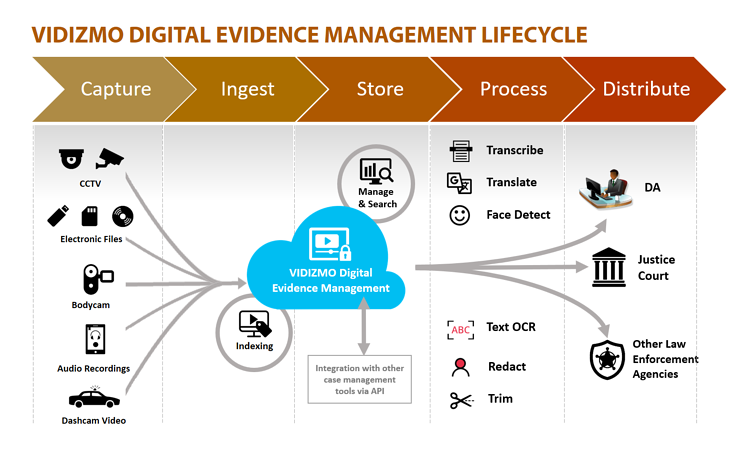 VIDIZMO Digital Evidence Management (DEM) System, built on Gartner-recognized enterprise video content management system1, offers a specialized solution custom-designed to cater to governmental agencies garnering an enormous amount of ever-surging digital evidence accumulated from 24/7 video surveillance of public and private places, in addition to other digital evidence. VIDIZMO Digital Evidence Management System is a comprehensive digital evidence platform that resolves the challenges associated with mass media ingestion or upload from disparate media sources and devices, including storage and processing of video and other digital media assets; automated transcription, closed-captioning, indexing, and media search in the portal; and value added features like automated redaction, media sharing, and retention or archival based on pre-defined agency policies. As a Microsoft Gold, Applications and Co-Sell Partner, VIDIZMO has built its enterprise-grade products on Microsoft technologies that natively run on Microsoft Azure Public Cloud and Microsoft Azure Government Cloud, to offer some of the industry’s best cloud security, compliance, and innovation. For governmental organizations, VIDIZMO Digital Evidence Management System integrates with Azure Government to offer physical and logical network isolation, with Azure dedicated to the US government, along with a broad range of government compliance certifications with CJIS, DoD, FedRAMP, FIPS 140, ITAR, HIPAA, among others. With a comprehensive range of compliance offerings, Azure Government datacenters are engineered to meet or exceed the complex and critical requirements for US federal, Department of Defense, state, and local government. Additionally, launching VIDIZMO Digital Evidence Management System on Azure or Azure Government delivers customers access to all breakthroughs and feature/ service innovations in Azure Media Services. For instance, Microsoft’s automated transcription and closed captioning services, which recently achieved human parity in conversational speech recognition, delivers complete video transcriptions with superior indexing and search capabilities within VIDIZMO’s Digital Evidence Management portal. Moreover, Microsoft has several other advanced video and media features on the roadmap, that VIDIZMO will utilize as part of its digital evidence management system. Some of these additions include automatic audio and video redaction, facial and emotional recognition, hyperlapse for time-lapse videos, video summarization, motion detection, OCR (text search and extraction from video), indexer (text search and extraction from audio), automated content moderation, and auto-generated video thumbnails – all with the potential to be fundamentally pertinent for efficient processing and value extraction from surveillance videos and other digital evidence files collected by governmental organizations. VIDIZMO offers a range of deployment options in the cloud, including installation on a public cloud or a customer’s private Azure cloud account – which can be done in a Software-as-a-Service (SaaS), Platform-as-a-Service (PaaS), or Infrastructure-as-a-Service (IaaS) model, depending on customer needs. Installation on a customer’s dedicated Azure cloud grants them complete control as opposed to using a shared cloud model offered by other cloud service providers. Multiple deployment options give users the flexibility to install and manage VIDIZMO’s application in an architecture of their choice. 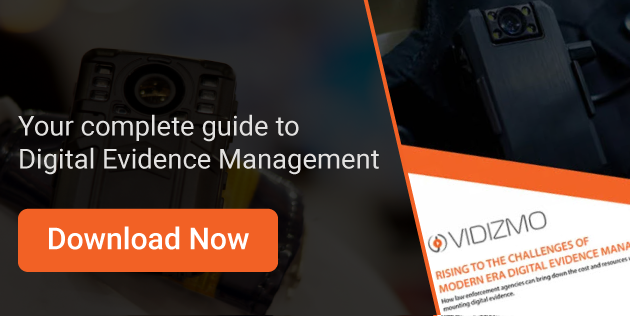 Alternatively, VIDIZMO Digital Evidence Management System can be installed on-premises or in a hybrid model for customers who wish to maintain a component of the application in-house. VIDIZMO Digital Evidence Management on Azure Government or a hybrid scenario could help government agencies modernize their video and digital evidence and asset management capabilities while availing an infrastructure, without incurring the huge capital expense of a new datacenter hardware. Azure Government’s unique cloud instance, exclusively designed for government customers and their solutions providers, gives superior protection of hardened US datacenters, with 500-mile-geo-redundancy, operated by screened US personnel. Such comprehensive security and compliance makes Azure Government the only government cloud that allows customers to house mission-critical data and workloads flexibly and with consistency across public, private, and hosted clouds environments for a hybrid cloud solution. 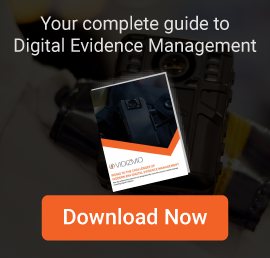 For more on VIDIZMO Digital Evidence Management, download our whitepaper or visit our website for more information.